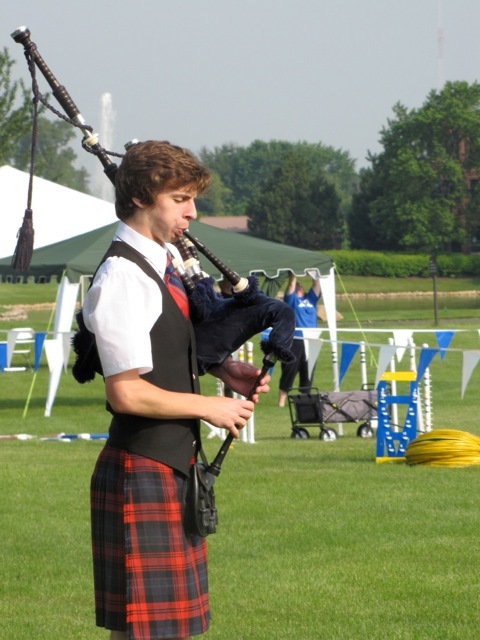 We’ve hired the youngest bagpiper EVER | Journey to "i do"
It’s time for a vendor update! 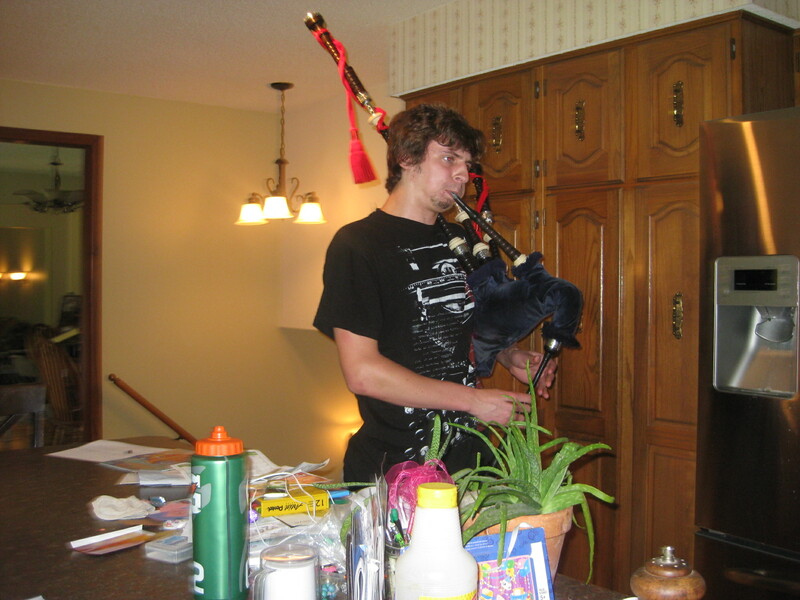 If you thought we would be having a bagpiper in our Scottish themed wedding then you are correct! We are having a piper play at our ceremony and I’m pretty pumped about it. He’s awesome, willing and able to perform at our wedding ceremony, and is youthful 18 years old. After we chatted for a bit, E played a few songs for us and we tried to figure out where in the ceremony we would place them. It was decided then that I would walk down the aisle to the bagpipes and the rest of the bridal party will walk down the aisle to something different (guitar, DJ played, or otherwise) to make a nice contrast. I’m super excited about how dramatic and awesome it’s going to sound! We will also have E play some music for the prelude part of the ceremony as well as our big recessional walk down the aisle, and we’re toying with the idea of having him do his own sort of processional down the aisle to begin everything. What to know the icing on the cake? E already has a kilt he can wear for the wedding so he’ll fit right in! Excited because we found a bagpiper! 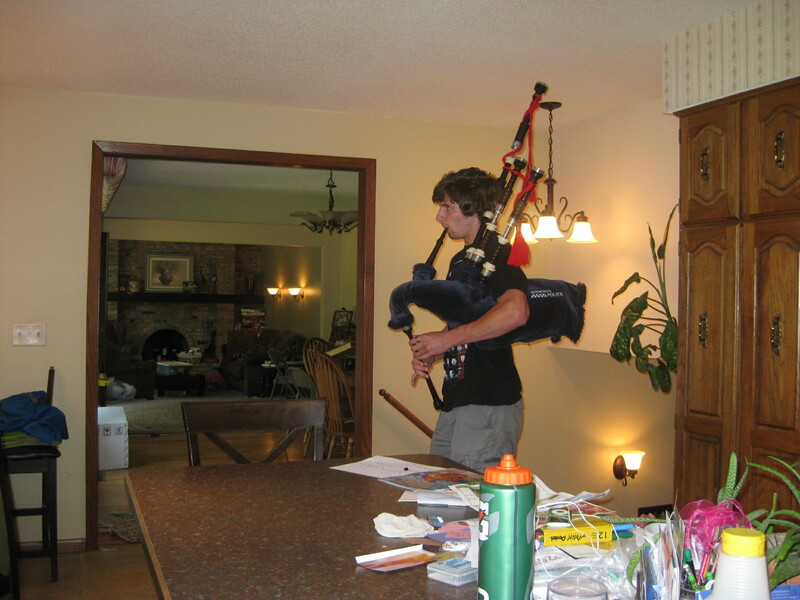 We met with one bagpiper on our trip and luckily he was a perfect fit! Anyone else having unique or cultural-specific music at their ceremony?